According to Forbes, his net worth amounts to $5.2 Billion. Richard Branson has always remembered been told by his header master, that he will either end up in the prison or become a millionaire, well he went on to become a billionaire (*winks). Richard Branson is regarded as one of the world’s greatest entrepreneur. He has also been a source of inspiration to many people who thread the part of entrepreneurship. His philanthropic nature cannot be written off. Below are some entrepreneurship quotes from a man who started building an empire at the age of 20. When we launched a new company, I reviewed the ads and marketing materials and asked those presenting the campaign to read everything out to test the phrasing and concept. If I could grasp it quickly, then it passed with muster. We would get our message across only if it was understandable at first glance. You can also check out : 10 Entrepreneurship quotes from Apple Founder. All you have in business is your reputation – so it’s very important that you keep your word. ← Steve Jobs: 10 Entrepreneurship quotes from Apple Founder. 6 BUSINESS QUOTES THAT YOU DON’T WANT TO MISS OUT ON! He is a risk taker, he likes flying around the world on a balloon. 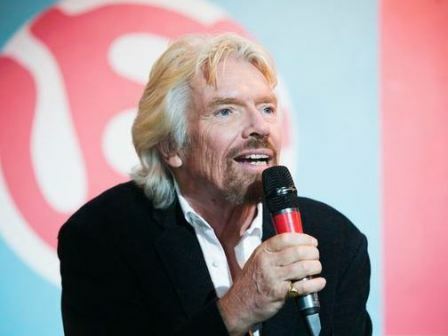 Richard Branson is no doubt one of the greatest entrepreneurs.